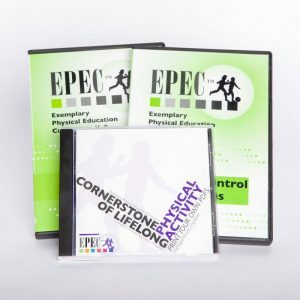 The Exemplary Physical Education CurriculumTM (EPECTM) is a comprehensive, evidence-based physical education program for kindergarten through fifth grade. EPEC K–5 is nutrition-enhanced with 130 nutrition-themed, skill-based reinforcing activities all of which align with the U.S. Dietary Guidelines. EPEC was awarded a Chronic Disease Prevention Award from the Centers for Disease Control (CDC) and is in use in every county in Michigan. EPEC’s focus is on teaching, building, and practicing the skills children need to prepare for a lifetime of physical activity. 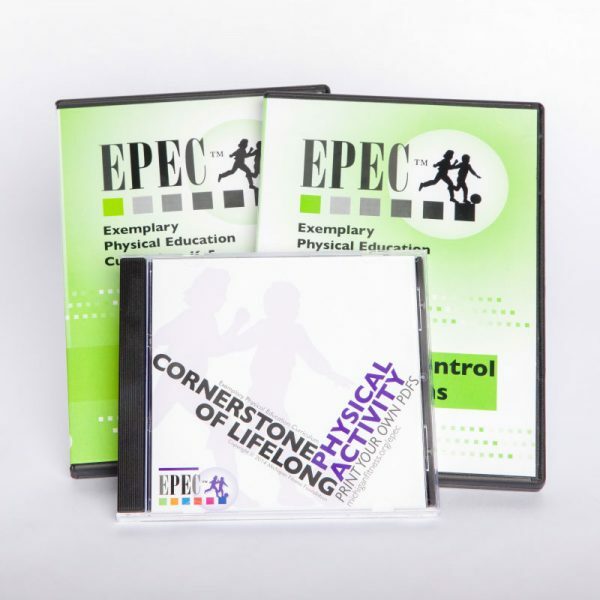 The two EPEC animation DVDs demonstrate proper form for the locomotor and object-control skills. These DVDs can be helpful in illustrating skills for both right- and left-handed students. They can be viewed using a DVD player or a computer with a DVD drive. They can also be accessed after installation on a hard drive or shared drive.